I daresay Skyfall is the best Bond movie. Not that I've seen a lot of Bond movies. But it helps that Daniel Craig is 007, and Sam Mendes is at the helm. 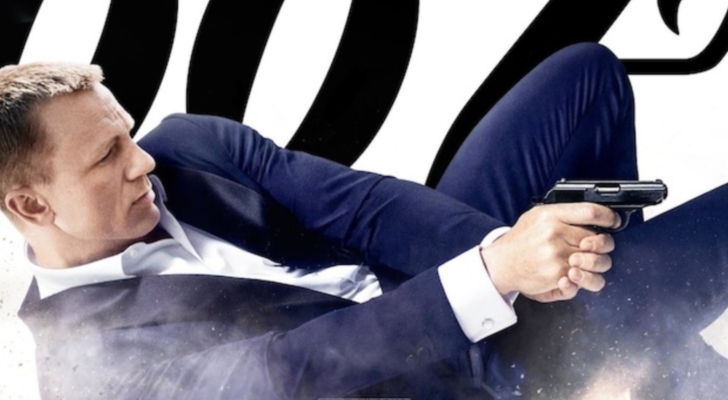 This is James Bond at his darkest. Surprisingly, this appears to be his origin story. But it is also his future. In keeping with the times, cyber crime and security is the threat in this one. Can old intelligence techniques counter this new world of cyber-terrorism? Is he getting too old to still be doing this? The film begins with a typical action-packed chase scene in Istanbul; at stake is a hard drive carrying highly classified information. M (Judi Dench) is forced to make a crucial decision for field operative Eve (Naomie Harris), with seemingly deadly consequences for our hero. He eventually returns as MI6 itself becomes the target and M's job is imperiled. The lady spymaster's computer gets hacked, and she gets mysterious messages from somebody who knows too much about her and the spy world. What is the motivation? "The sins of the father (or in this case, the mother) shall be visited upon the son" seems to fit the bill. Bond's mission takes him to Shanghai, where he meets Severine (Berenice Marlohe), who leads him to our creepy villain. Most of the action is London-centric, but the film's climax occurs in the beautiful Scottish Highlands. This has to be one of the most gorgeously photographed 007 film ever. Fans of the franchise will also recognize and enjoy the little references to other movies. Other characters include Gareth Mallory (Ralph Fiennes), a bureaucrat who wants M to retire. Ben Whishaw is the young, minimalistic techie Q, emphasizing the out-with-the-old-in-with-the- new theme. Without giving too much away, we finally find out what Skyfall means. (Side note: I wonder if his parachute jump with the Queen for the Olympics was a planned promo for the film.) We meet Albert Finney's character. Shades of Bruce Wayne's Alfred. I know I watch a lot of movies and television shows, and I almost always figure out plot twists and turns now. I'm happy to tell you that this one kept me guessing. I didn't see it coming. Like perhaps, the sky falling one day.